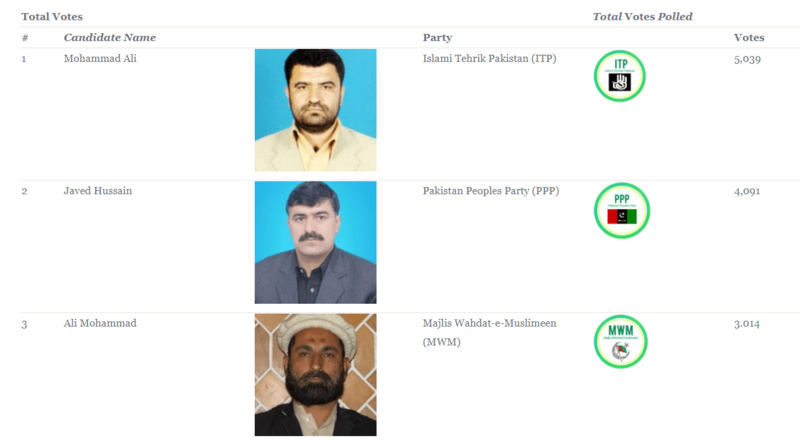 Gilgit: PPP’s candidate Javed Hussain has claimed victory in GBLA-4, Nagar, by-election. According to unofficial results, he has obtained 6, 439 votes, while Islami Tehreek’s Baqir has obtained 5,519 votes. PTI’s candidate has got almost 400 votes, according to unofficial results shared by various reporters. PPP’s Chariman Bilawal Bhutto Zardari has congratulated his party on Twitter for the victory. PPP’s workers have started celebrations in different parts of the LA-4 constituency of District Nagar. Javed Hussain was fighting election against an alliance of ITP, PMLN and MWM. His victory is being seen as huge blow for the Hafeez led PMLN government, who had not fielded a candidate in the election; they were supporting ITP’s candidate.